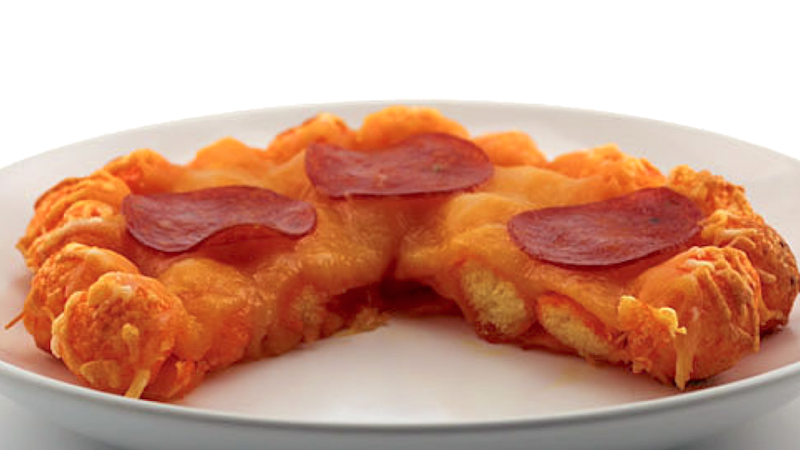 What do you get when you combine pizza with your favorite poppable cheesy snack? The most genius pie ever, that’s what. You’re in a safe space here… it’s OK to admit you have a covert love affair with those ginormous tubs of generic cheese balls. You know, the ones that offer virtually no nutritional value whatsoever but taste like cheesy air and you can’t stop eating them even though your fingers are caked in orange “cheese” dust? Yes, those. But I have good news for you. You now have a legitimate reason to buy them, so you can embrace your shameful snack secret and show it off to the world. Because pizza is a totally acceptable food to love, even when it is made with a cheese ball crust. And it’s a real recipe. 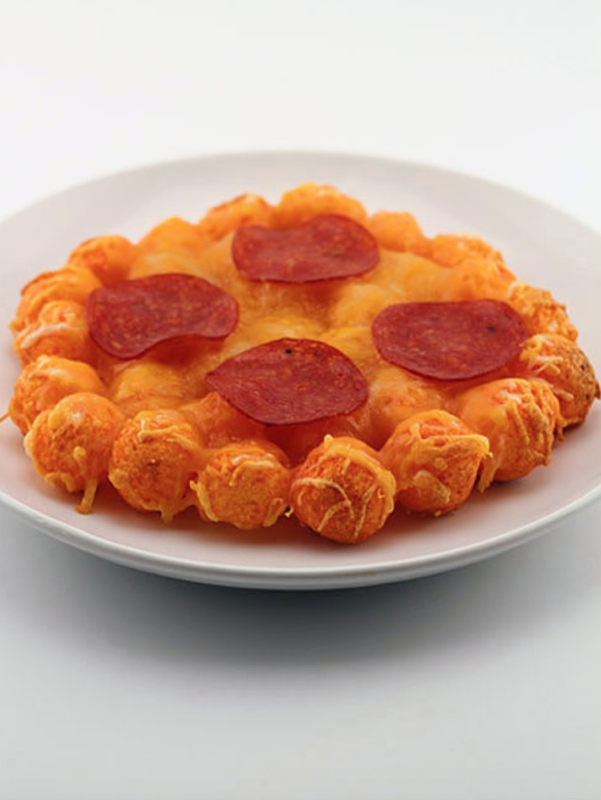 See, DudeFoods took cheese balls and melted cheddar cheese on both sides, adhering them together and forming a crust (which will now be referred to as the best pizza crust ever in the history of food). Then he added even more cheese (of course), threw on some pepperoni and stuck it in the oven. Basically DudeFoods found a way to make cheese balls and pizza even better, and for that he deserves a medal. Go check out the recipe. There’s also a hamburger bun made out of cheese balls, in case you need another reason to buy them.